Hello there everyone! I have always loved watches and been curious about the concept of time itself. Now, as I am able to start collecting timepieces I first stumbled upon the amazing and affordable world of russian watches. These are the pieces I managed to get my hands on in the past month. RobNJ, Avidfan, elsoldemayo and 6 others like this. What were your first russian watches? I'll be happy see them . Hello Kiril, nice to meet you and welcome to the forum! I'm a bit late to collecting Russian watches...ordered my first during the last month of 2017 and received it in 2018. 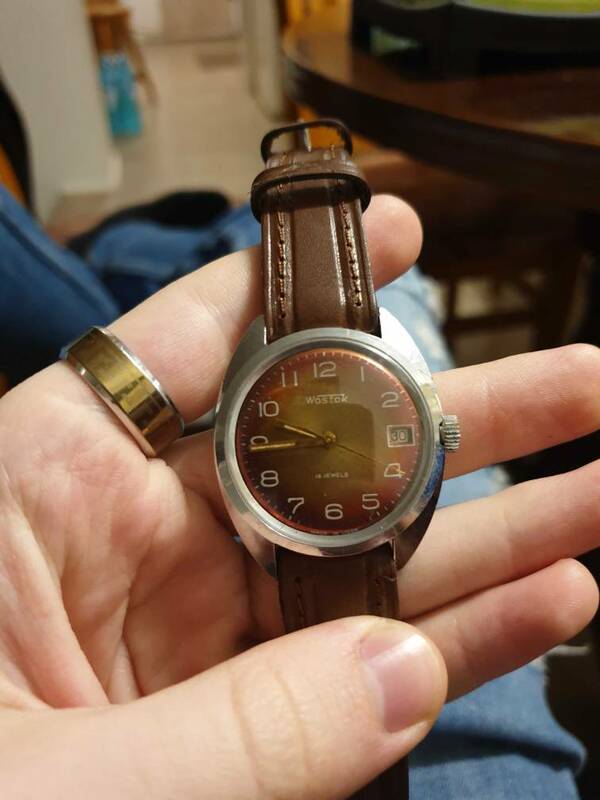 My first one was a Vostok 120509 that I planned to completely mod from the start. I'd say it was a decent job for a beginner! I'm still interested in modding watches but lately I've taken interest in older (like pre-1995) and USSR era watches. Regretfully I don't have many of these in my collection yet! Father of five, kirilshahamov and shahrincamille like this. Prior to that I had an ancient Oris Pointer Date 7461 which I wore almost daily, after obtaining it about 2 decades ago. Then in 2011 (or thereabouts), I bought myself a Cross Palatino CR8008 skeleton watch which thereafter shared wrist time with the Oris, although the latter still got the lion's share of it. So based on my history with regards to watches, I thought buying the Amphibian should be no big deal, and doubt I would start collecting watches as I had then with fountain pens. kirilshahamov, frenchtreasure, tokareva and 1 others like this.